Reliance Jio 4G is now available publicly for all 4G enabled mobile devices free till 31st December as part of the Jio Welcome Offer. Jio was already enjoying extreme popularity due to it's free offer and since the public release on 5th September interest for the same has increased manifold. People are lining up in hour long queues just to get their hands on the Jio Sim. The massive influx of users has caused out of stock sim cards as well as considerable delay in activation of Sim card. Then there's the confusion of which devices are eligible for Jio Welcome Offer. We have been getting multiple queries on whether their devices are eligible or not. The device in question is the original Yureka (AO5510) since it lacks VoLTE facility and given that Jio uses VoLTE for both data as well as voice calls. This has been the cause of confusion among many users. To answer your question: Yes, YU Yureka is eligible for Jio Welcome Offer in fact any device which has 4G connectivity is eligible for the same. How? Since Jio uses following three bands for 4G connectivity 800 MHz, 1800 MHz and 2300 MHz and Yureka comes with support for 1800 MHz and 2300 MHz it should have no problem in using Jio Sim and multiple users have confirmed the same. However you won't be able to use VoLTE technology and for that you can use JioJoin app from Jio and make HD voice and video calls. For any other no-VoLTE enabled device simply check whether your device supports any of the above mentioned band and proceed to download MyJio App and follow the instructions. 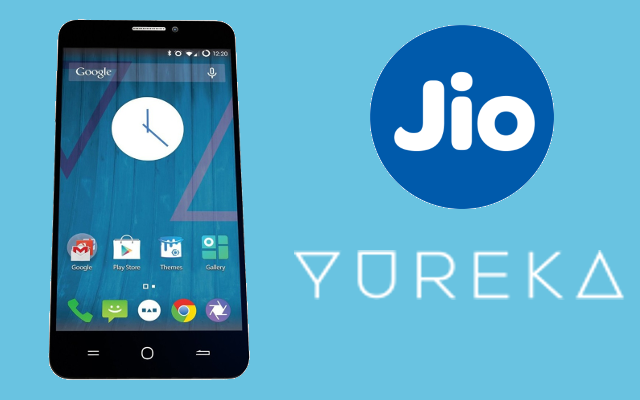 For advanced users of YU Yureka you can install the latest CyanogenMod nightlies which supports VoLTE connectivity and install it manually on your device to enjoy the complete features of Reliance Jio 4G. Here's guide and more details regarding how to install CyanogenMod on your Yureka manually. If still you have any other queries or doubts feel free to leave a comment below we'll get back to you and solve your doubts as soon as possible(usually within 24 hours). Don't forget to follow us on FB, Twitter and G+.